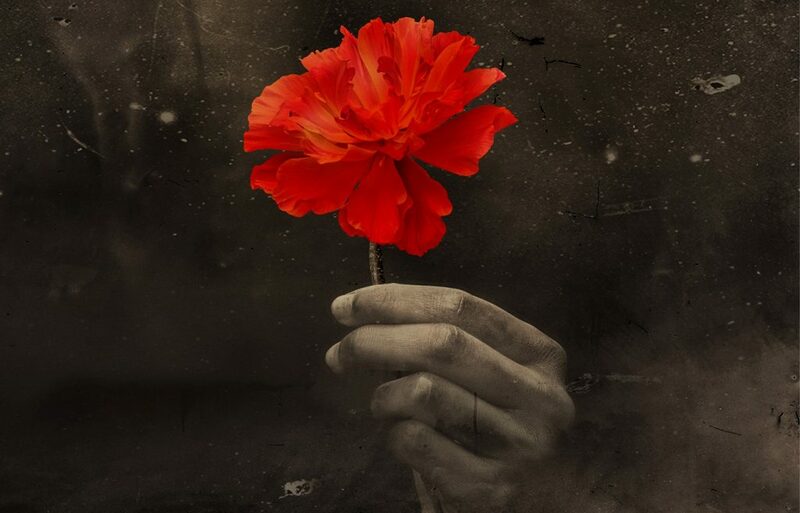 The new season at the National Theatre has been announced today and it includes Hadestown which comes to the venue prior to Broadway and following record-breaking runs at New York Theatre Workshop and Canada’s Citadel Theatre. The award-winning Follies returns (Feb 14 – March 26) and Adrian Scarborough, Debra Gillett, Derek Griffiths and Amy Morgan join Rhys Ifans and Indira Varma in a new version of Patrick Marber’s Exit the King. Three new NT Live screenings announced, including Chichester Festival Theatre’s King Lear starring Ian McKellen and Nottingham Playhouse’s The Madness of George III with Mark Gatiss. 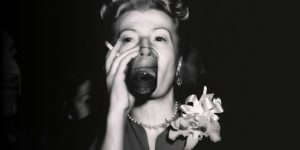 Patrick Marber adapts Eugène Ionesco’s great tragi-comedy for the Olivier stage – the first time Ionesco’s work has been performed at the National Theatre. Marber also directs his new version of Exit the King which stars Rhys Ifans in the title role and Indira Varma as his first Queen. Singer-songwriter, Anaïs Mitchell, and director, Rachel Chavkin, have transformed Mitchell’s acclaimed concept album into a new musical for the Olivier that mixes modern American folk music with vintage New Orleans jazz, to reimagine a sweeping ancient tale. In the warmth of summertime, songwriter Orpheus and his muse Eurydice are living it up and falling in love. But as winter approaches, reality sets in: these young dreamers can’t survive on songs alone. 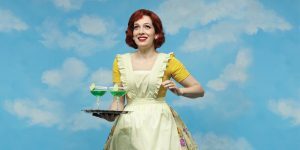 Katherine Parkinson (The IT Crowd, Humans) plays Judy in this unsettling new comedy about one woman’s quest to be the perfect 1950s housewife, written by Laura Wade (Posh) and co-produced with Theatr Clwyd. Theatr Clwyd artistic director, Tamara Harvey, will direct the production which premieres in the Emlyn Williams Theatre on July 3 ahead of transferring to the Dorfman Theatre. Other productions already announced include Brian Friel’s modern classic, Translations, in the Olivier (May 22-Aug 11), a powerful account of nationhood, which sees the turbulent relationship between England and Ireland play out in one quiet community. Directed by Ian Rickson, the cast includes Dermot Crowley, Aoife Duffin, Adetomiwa Edun, Michelle Fox, Ciarán Hinds, Laurence Kinlan, Colin Morgan, Seamus O’Hara, Judith Roddy and Rufus Wright. In the Lyttelton Theatre is Rodney Ackland’s WWI drama, Absolute Hell (until June 16). This extraordinarily provocative play was condemned as ‘a libel on the British people’ when first performed in 1952. Now it emerges as an intoxicating plunge into post-war Soho, full of despair and longing. Joe Hill-Gibbins returns to the NT to direct a large ensemble in this new production. Julie (May 31-Sept 8), Polly Stenham’s version of Strindberg’s classic, sees Miss Julie find a new home in contemporary London. The Lehman Trilogy (currently booking July 4-Sept 22) is Ben Power’s adaptation of Stefano Massini’s banking story about a family and a company that changed the world, told in three parts on a single evening. On a cold September morning in 1844 a young man from Bavaria stood on a New York dockside. Dreaming of a new life in the new world, he is joined by his two brothers and their story of the American Dream begins. One hundred and sixty three years later, the firm they established – Lehman Brothers – spectacularly collapses into bankruptcy, and triggers the largest financial crisis in history. Directed by Sam Mendes the epic stars Adam Godley, Ben Miles and Simon Russell Beale as the Lehman brothers, their sons and grandsons. Nine Night (April 21 – May 26) in the Dorfman is a new play by Natasha Gordon which is a touching and very funny exploration of the rituals of family. The cast includes Oliver Alvin-Wilson, Franc Ashman, Ricky Fearon, Michelle Greenidge, Hattie Ladbury, Rebekah Murrell and Cecilia Noble. In June comes An Octoroon (June 7 – July 18), a co-production with the Orange Tree Theatre. Branden Jacobs-Jenkins’ extraordinary and provocative play follows two writers. Directed by Ned Bennett, the cast includes Cassie Clare, Emmanuella Cole, Celeste Dodwell, Iola Evans, Ken Nwosu, Vivian Oparah, Alistair Toovey and Kevin Trainor. With cellist, Kwesi Edman.